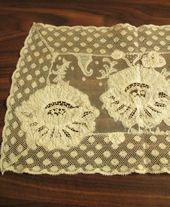 A ecru lace placemat filled with handmade lace work. Circa 1900's. 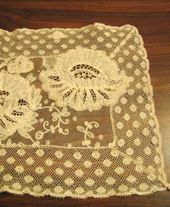 The antique lace placemat features: 3 tape lace flowers & tiny ring needle lace fillings, tambour & embroidery lace work, raised cord threadwork. 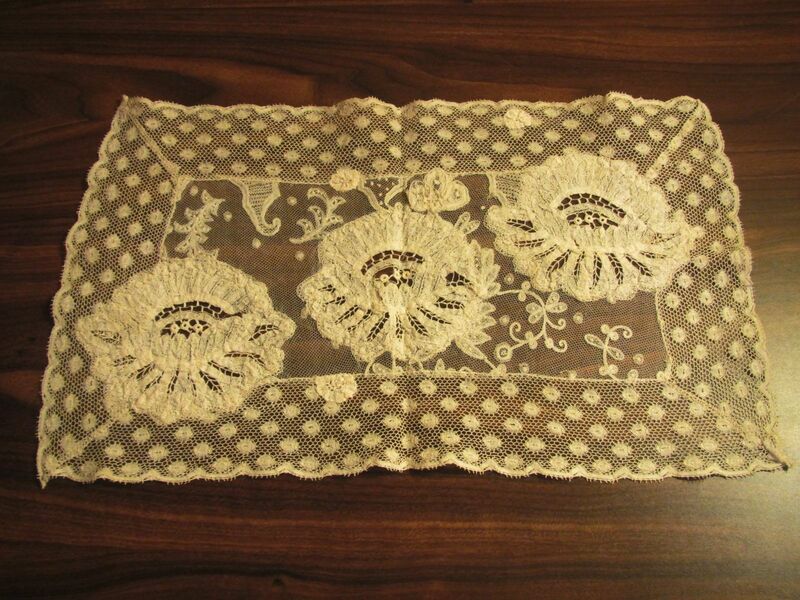 The antique lace placemat has been created from pieces laces of different types of hand made tape laces and raised flowers. The antique lace placemat is done in a patchwork fashion and the technique is that of French Normandy Lace work. These handmade lace pieces have been been sewed together with extremely tiny hand stitching. Table Placemat measurement: 15 1/2" x 9 1/2"
The antique placemat is pale ecru color (see photos). Condition: The antique placemat is in very good condition. I saw no obvious faults or wear to the table placemat except for a tiny hole where the strands of thread to the ring needle filling are missing. The placemat is in "as is condition" in that I have not washed it.